Event management company have to keep informing to client for every development and hurdles which can be resolve through communication. Sometime there is issues for venues, power issues, third party work like catering, artists, which are generally booked by clients have some communication issues which can be affect on whole event have to resolve by event coordinator before event start. We hire4event always take care of transparency with our prestigious client for any problems which can effect happiness in events. Always keep sharing emails for small to big issues. Sometimes clients budget are less but we take care of that and try to put best available options for decreasing the budget. We share best possible ideas with client to reduce expenditure while pitching for any event. Costing of venues, artists, decoration can be save with other options which are listed at our website. Sometimes better venues and artist available for that date so keep exploring the availability of best options which can suit location and genre. Working on time reflects your punctuality and punctuality is symbol of professionalism. If you reach at event site before time then you will be having enough time to fix the errors and all. Timely delivery of task gives strength to relation between service provider and client for future events. More even in Corporate events we have to keep eyes on delivery of task on time. The successful execution of the event totally depend on time. Because when you are running out of time you can not execute the event successfully. Definition of event management is “Creativity with excellence '' so it must be up to the mark. Creative ideas make event graceful and give eye catching look . Themes and decoration must be good which is expected from client and attendees both. If decor and creativity will be good that will be always appreciated by audience and that will be best brand promotion of event planner. Hire4event always take care of themes, latest technology, visuals, proper arrangement of comfort of audience and client both. In event industry, all our business is depend on quality of equipment. 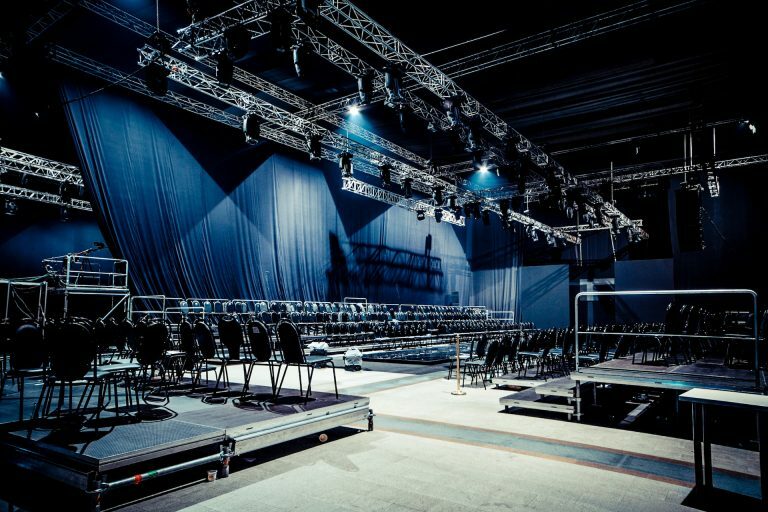 The quality of the equipment used in a particular event site results the execution. First of all Audio and visual equipment must be branded because its output will be as per requirement. In between events if any equipment create problems it will make client unhappy. We always take care of used equipment in every event.